Dua Lipa is the new surprise in the music industry. She is extremely talented, sounds amazing, and is completely crazy. We are sure that she will become a very famous artist. 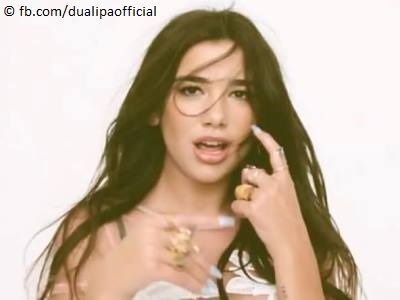 Therefore, we give you these 10 reasons why Dua Lipa will be successful. Dua Lipa knows what it is to work hard. She left her parents (and their country) at the age of fifteen to go to London. Dua studied in daytime, and worked in nighttime. She knew what she wanted to achieve – becoming a singer – and worked for that purpose. Dua learned from the best! 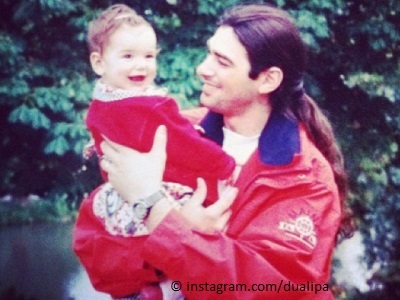 Dukagini Lipa, her father, used to be the singer of the band Oda. Check out one of their (down tempo) songs, Nuk Je Ti. Dua has her roots in Kosovo, and even lived there for a couple of years. Kosovo has the lowest average age of whole Europe, and has several successful young women. Of course, every one knows Rita Ora (born in Kosovo), but did you know that the world champion and junior world champion judo are also girls from Kosovo? She is not, like several other artists, a fake person created by the music industry. Dua is 100% Dua! We should not forget that her voice is the biggest weapon. Sometimes smokey, and sometimes high. Always beautiful. Dua Lipa is looking good, and even used to be a model. The fact that she is having a sweet face is pretty handy for those who are playing the whole day her songs on youtube. A couple of famous artists are enthusiastic about Dua Lipa. Maroon 5, for example, posted the first song of Dua on their facebook page. This resulted in a kick start for the new artist. If you want to be successful, you have to sell records. So, treat your fans like they should be treated. And that’s what Dua understands. She is the whole day online to be in contact with her fans via social media. Dua Lipa is an ethnic-Albanian from Kosovo, which is great. Why? Music and dancing is an important part of the Albanian culture. Albanian weddings consist for the most part about dancing, while a band plays traditional music. Dua Lipa already proved that she can also is a very good live artist. Same high voice, same low voice. She showed that while singing New Love live, filmed live at YouTube Space LA. Do you know more reasons? Tell them below! Have you read the biography of Dua Lipa? country but some earlier, namely in WORLD WAR II, Poland. Russians, we have still on neck by Baltic sea and Ukaraine. was not so simple. I want to see you in UE very soon as Albania? brown eyed, hair woman caled Dua too. Thank you for the article, DUA LIPA is a very good, talented and unique and genuine and humble artist. The mainstream media may not post about her yet, but we as a fan believe that she will be big artist. By the way, I am one of the fans from Kuala Lumpur, Malaysia and i am promoting Dua to our friends and the nations. Our prayer and wishes to Dua on her future success.